Vancouver’s first major multi-genre fan convention is fast approaching, boasting a guest list that includes some of Canada’s best comics artists as well as several classic television celebrities. With a weekend like that ahead, there’s one question you need to ask yourself. Fan Expo Vancouver is sure to see the city’s costuming aficionados – also known as cosplayers – out and about in their very finest. Cons are more fun if you’re dressed up, they say, and what better way to express your fandom? But for most people, the idea of slipping on some spandex and going out in public can be a little intimidating. And it gets even more so if you start doing any research. Online cosplay forums are filled with lengthy lists of rules and requirements for optimal cosplay. Stay in character, they say. Stick to costumes appropriate to your body type. And for frack’s sake, wear a decent wig. 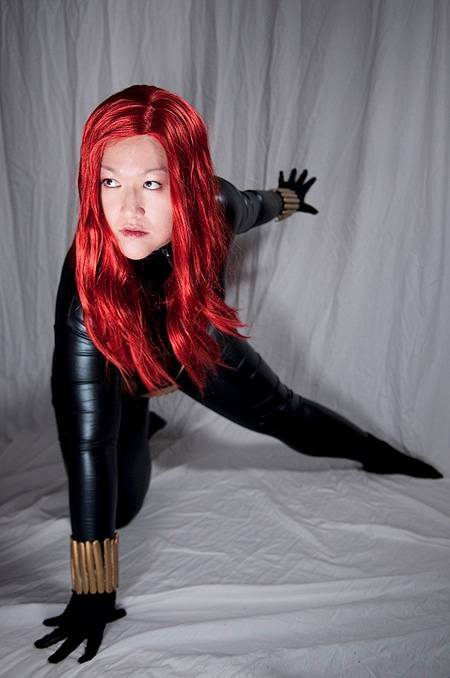 According to Vancouver cosplayer Jaime Q, it really doesn’t need to be so complicated. Q has been dressing up for conventions for years now and estimates she’s put together about a dozen costumes. She admits that some cosplayers can get pretty serious about the dos and don’ts of dressing up. Sometimes, though, the character you want to do will cost you more than you’ve bargained for. Q estimates she spent around $400 on her most elaborate costume: Caterina from the Japanese comic Trinity Blood. These days, she finds it more fun to stick to easier, more comfortable costumes. And she has some advice on how to keep costume costs down. But she has some warnings for those who decide to sew their own costumes. 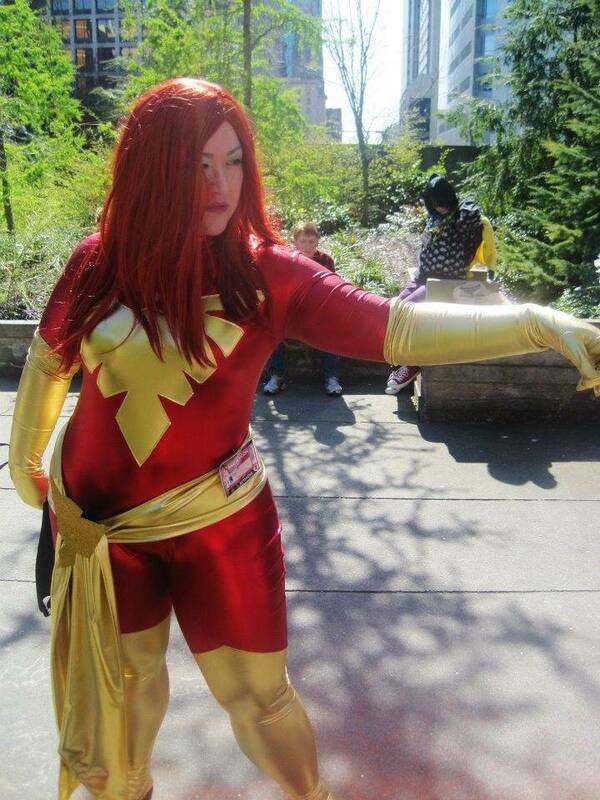 Jaime Q as Marvel Comics’ Dark Phoenix. 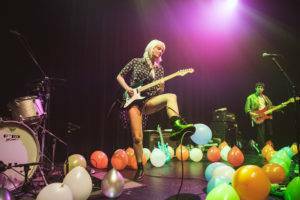 Photo by Ally McGillivray. Overexposure, in fact, is one of the more controversial aspects of cosplay. With an abundance of scantily clad comic and gaming characters, there’s no shortage of revealing costumes to choose from. “A lot of young girls, they kind of want attention so some of them go to conventions wearing next to nothing,” says Q. But exhibitionist cosplayers can meet with disapproval from peers as well as from con organizers. At PAX East in Boston earlier this month, a well-known cosplayer was asked to leave the show floor to change clothes when she wore a Lollipop Chainsaw costume with a neckline that plunged inches past her navel. Q says there are ways around that problem. Regardless of costume choice, Q says that dressing up for a con enhances the experience and creates opportunities for social connection. “I think you interact with a lot more people,” she says. And not just other fans, either. Q says that cosplayers sometimes even have an effect on the art they love. According to Q, seeing life-sized 3D representations of costumes can influence comic book artists, as well. “I know especially the Western comic book costumers have definitely influenced the creators. George Perez, who’s a popular comic book artist, has a lot of ties to the fan community and the fan costume community and I know he bases some of his art on the costumers,” says Q. 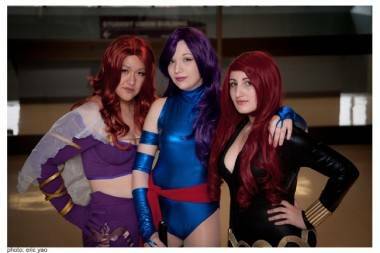 This entry was posted in events and tagged comics, conventions, cosplay, superheroes, Vancouver cosplay. Bookmark the permalink.